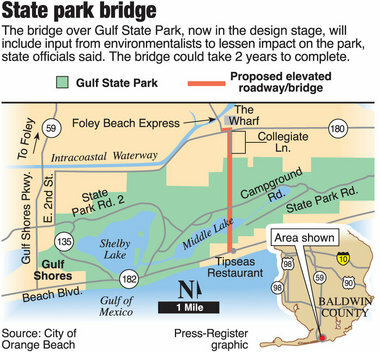 Plan for bridge over Gulf State Park draws environmental concerns | al.com The bridge, dubbed the Cross Island Parkway by some, would start at Ala. 182, or Perdido Beach Boulevard, behind a power substation near Tipseas Restaurant. 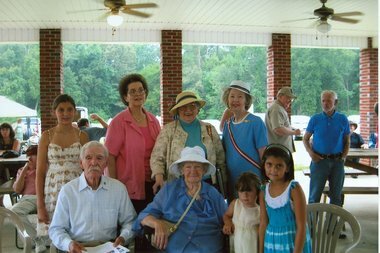 The bridge would then travel over the park’s wildlife area and part of a lake, and drop motorists onto Canal Road at the entrance to the Foley Beach Express. What this map, provided by the city of Orange Beach, does not show is that there is an existing road just to the east of the edge of the map. That road already connects the beach road with the canal road and the Foley Beach Express. Triumphant National Championship University of Alabama football team returns to Tuscaloosa (slideshow and video) | al.com: Not all fans were braving the rain at the airport. Some chose to celebrate such as by buying the the Rama Jama restaurant's special sandwich, the 14 National Champs BLT. One BLT consumer was plumbing company owner Ron Foster. 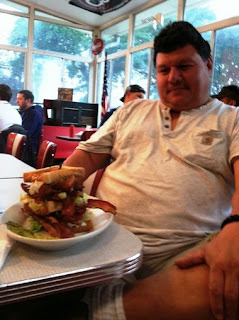 It was an impressive stack of cholesterol with its 14 strips of bacon. "That's like a whole pack," Foster said. "I better make sure my life insurance policy is up to date." 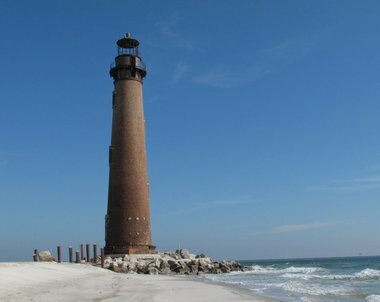 Sand Island resurrected: Island is open to the public and tarball free | al.com: Lost beneath the waves for generations, the island was reborn between October and December thanks to a federal dredging project that pumped 1.4 million cubic yards of clean sand from the seafloor several miles offshore in the Gulf. 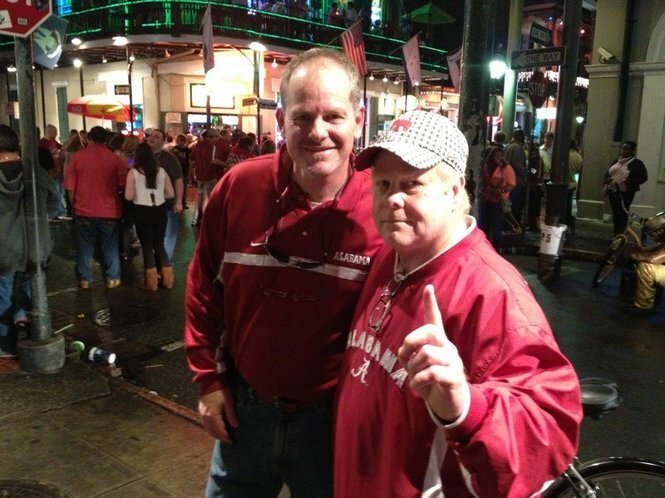 2012 BCS Championship: Harvey Updyke spotted on Bourbon Street the night before the game (photos) | al.com: Among the Crimson Tide fans enjoying themselves tonight, none is more famous than Harvey Updyke, the Alabama fan who allegedly poisoned the legendary oaks at Toomer's Corner in Auburn, then bragged about it on the Paul Finebaum Radio Network. 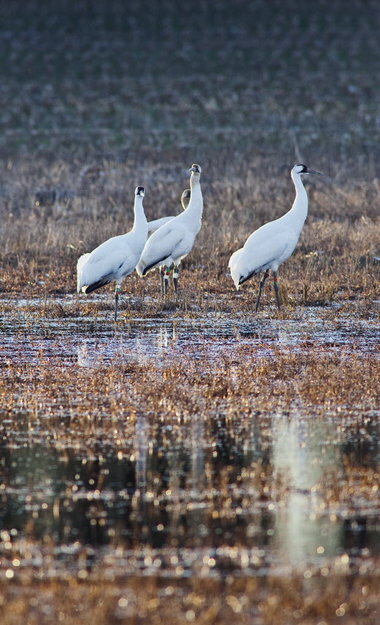 Endangered whooping cranes making Wheeler refuge winter home | al.com: A recent count showed 122 bird species at Wheeler Wildlife Refuge, which opened in 1938 as a haven for migrating waterfowl. The tally includes 9,000 sandhill cranes and seven whooping cranes, which number only about 400 in the wild, according to the International Crane Foundation. Oil rigs may provide bird buffet for sharks (video) | al.com: For the second year in a row, researchers at the Dauphin Island Sea Lab have found the remnants of migratory birds in the bellies of tiger sharks caught off Alabama. 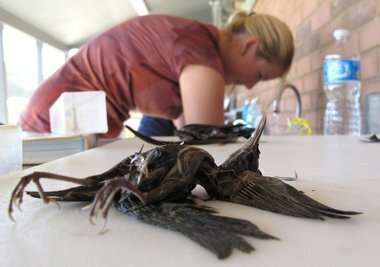 The body parts provide compelling evidence of the mortal toll that oil platforms take on birds migrating across the Gulf of Mexico each year. 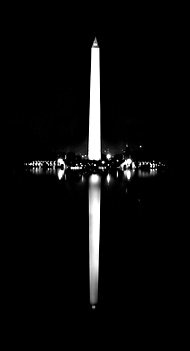 The carcasses also highlight an issue federal officials have essentially ignored since it was revealed seven years ago. 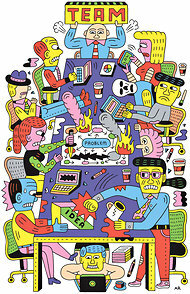 The Joy of Quiet - NYTimes.com: We have more and more ways to communicate, as Thoreau noted, but less and less to say. Partly because we’re so busy communicating. And — as he might also have said — we’re rushing to meet so many deadlines that we hardly register that what we need most are lifelines.